Names carry weight. A good one can lift a person through life, while a bad one can anchor him like a ball and chain. I am named after both my grandfathers, and when it came time to name our children, my wife and I took pleasure in passing down family names. I had a grandmother and gladly gave her name to one of our daughters. Recently, one of my older sisters called me mentioning she had our grandmother’s Bible. She asked if my daughter would like it, and I did not hesitate to say my daughter would love to have something of her great grandmother’s. It dutifully arrived in the mail, and I opened the box to find a carefully wrapped package. I left that for my daughter. She and my other daughter came to my house in the evening after I told her I had a special present to give her. Who can resist such enticement? I told her it was from her aunt. She sat on the sofa, and I placed the package in her hands. 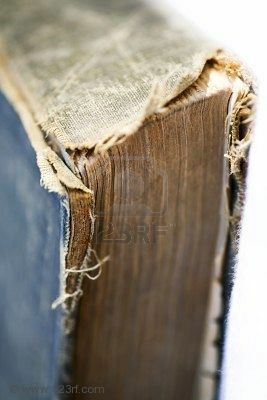 She gently removed the paper to reveal an aged book. The black leather smoothed from years of handling. No lettering to be seen. No binding left to contain the covers. Simple masking tape crossing the back hoping to hold it. Cautiously opening the front, we read the simple inscription of my grandmother’s name and “from Mother, December 25, 1909”. She was seventeen when she received it at Christmas. We all smiled at the beautiful coincidence, and we explored the treasure further. The pages quickly opened to bare paper-thin pressed flowers of untold age. A Christmas card marked another page. One fragile page had been torn loose and was held in place by the finely cut edges of some very old postage stamp. Between the Testaments, my grandmother wrote in exquisite penmanship her husband’s name, her own name, and the names of each of her five children. Beside each, she added their date of birth, and two of the children were marked again by their dates of death, dying in childhood. My grandmother died 37 years ago at the age of 84. I remember her white hair and slow walk. Her kitchen had its own odor. It was an amalgamation of years of cooking. Rarely but occasionally, I will smell something wrenching me back in time to her tiny house with its ramshackle, odd bathroom added at some undetermined date after the original structure was built. There was a barn in the back filled to the rafters with stuff. After it was emptied, the building collapsed in a big wind. The contents had literally held it up for years. The root cellar contained shelves of preserves from decades before. I kept two antique jars. One was from Folgers coffee with mountains silhouetted on the glass and the paper wrapper still in place. There was also an old jar of Crisco shortening with a complete wrapper in light blue. Families carry us. We are held aloft by our past, guiding us forward. My grandmother’s presence is very much here, and her Bible rests safely in a chest.